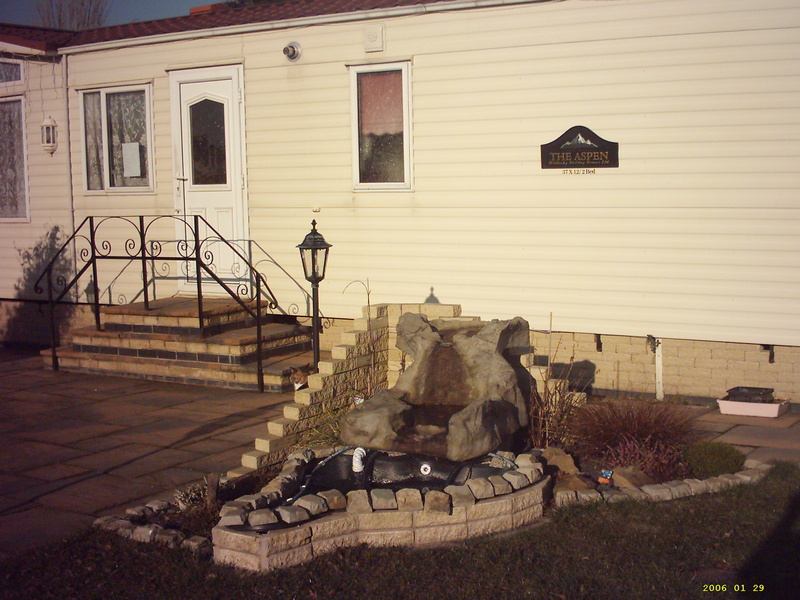 Here is the very first pond we had, my husband and his friend Dave settled into its new home one fine day. On a personal note. I will never, ever forget this day, because I got a message from a new friend who had taken a severe overdose. I was a moderator on an internet site for Eating Disorders, and I manned it for the most part, day and night. At that particular time, I was the only person this young woman would talk to, and I was a million miles away from her. After an hour or so, I convinced her to give me her home address, and details, then her doctors phone number. Eventually I also managed to convince them that this wasn’t a fake call. That day I saved a life. 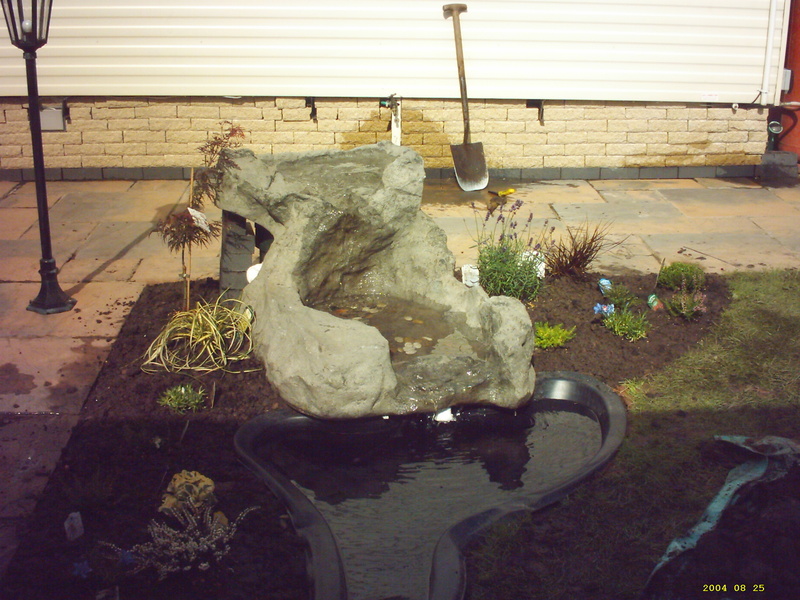 This was the small pond after first installing. The koi are still happily swimming around now, from 50 gallons to 5000 gallons. I am loving digging out all these old pictures. So much more to come. Any comments welcome, I will return them. Where ever you are from. I have to admit I am very thankful that this week is over. It has been one of the hardest weeks at work, due to the awful weather, but also at home. Hubby and his friends son began digging up the pipework for the waste water from our pond on Sat, they worked really hard. And so did I. Little did they know on Sunday night the heavens would open and it wouldn’t stop raining for a week. Monday had a months rain in one day. The roads were flooded out, the garden had more rain water in it than the pond had, and the trench, 100ft long, 2ft deep, was now also flooded. So for the most part, the hard work they did, has been un-done. 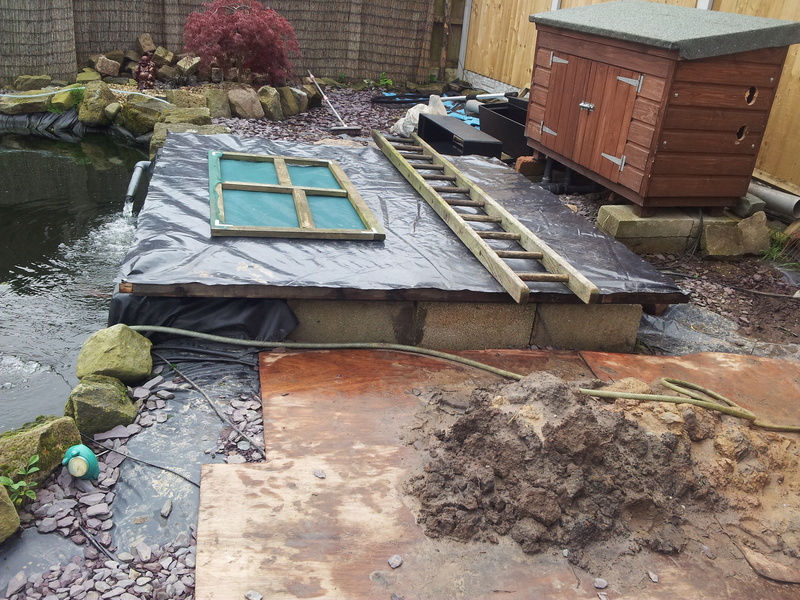 Nightmare… the sides of the trench have collapsed and the main pond bunker has had that much water in it, its almost been as high as the pond level. It isn’t doing anyone of us any favours. 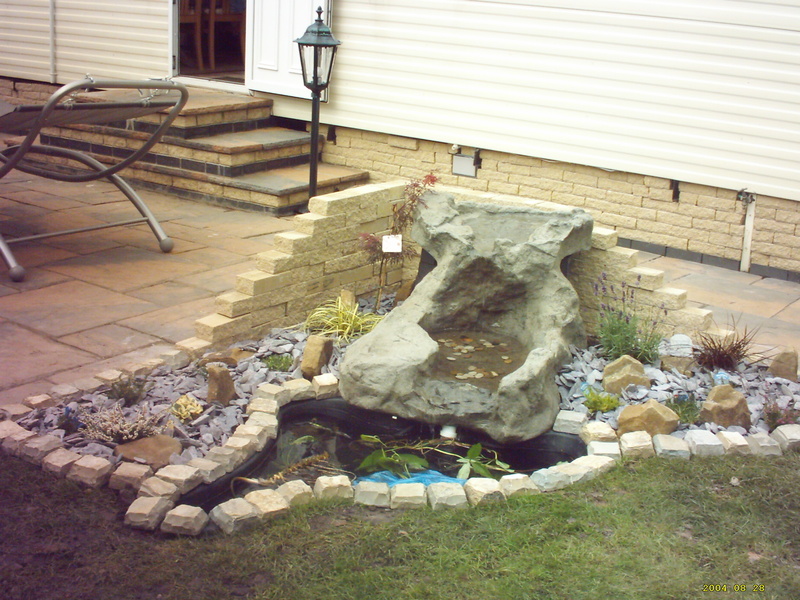 I’ve also had to try and work out what my main pond needs Bicarb wise. It hasn’t had a swing in it, due to the massive amount of rain, and I did think at one point we were heading for a PH crash. Thankfully it didn’t. So, this week really has been a wash out. I won’t mention the ‘W’ word, fed up on that front at present. Lots to talk about, just don’t want too. In case I get myself into trouble…. Writing wise, just hasn’t been good. My laptop is in a friends, being fixed. (I hope) and I am on a borrowed one. Not good. This was my old one, and it crashes too often. I have far too much stuff running for one processor, and this one can’t cope. So writing wise, I’ve not been able to do much. Hence why the blog sort of stalled too. Although I know I should keep it up, as it really helps to work things out. As for most of everything else, well I am tired. That is the only way I can describe how I feel. Tired and worn out. I think some of it started when the baby fish were sick, hence why I was getting raging headaches, and a very sore back. For the most part, my back and head are sorted, just the odd rough day. But, the fish are so much better. I was under tremendous pressure those 6 weeks. And it seemed that no matter what I did, my babies were dying. I’ve never thought much about putting an animal to sleep. But I didn’t have a choice on a couple of occasions. IT was the best thing to do, and they didn’t suffer. 😦 although I did.